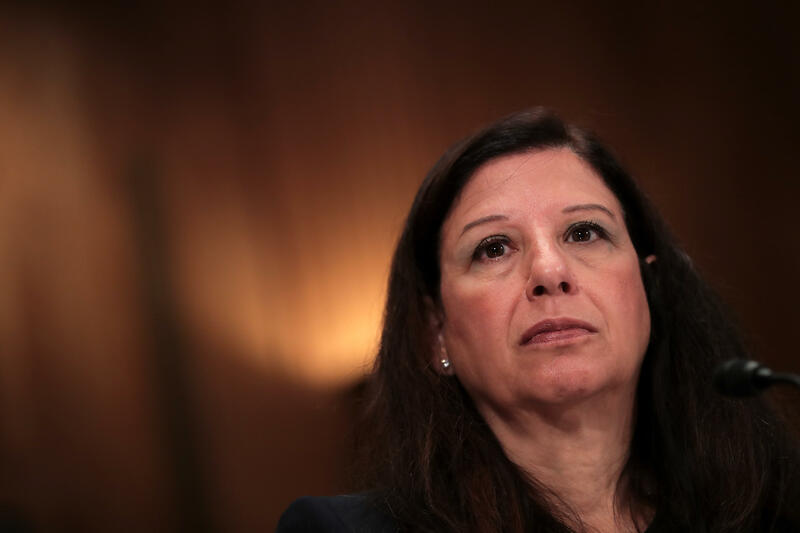 Department of Homeland Security Deputy Secretary Elaine Duke is retiring. Duke's retirement is not entirely unexpected. Duke, who was sworn in last May and served as acting secretary for half of last year, has served for more than three decades in the federal government. Last year, she reportedly said she would resign after she was asked to allow for the deportation of 50,0000 people with temporary protected status living in the United States. Duke also made headlines last fall when she called the Puerto Rico response a "good news" story, after Hurricane Maria devastated the island and the federal government's response was criticized as being detrimentally slow. "Today, Deputy Secretary Duke announced that she will retire from government service in April. Elaine has selflessly served the federal government for three decades, and this department for more than 10 years spanning multiple secretaries," Nielsen said. "Since taking office, she has been instrumental in helping the department address emerging threats and in preparing for, responding to, and recovering from the 2017 hurricane season. The department greatly benefited from her expert knowledge and understanding of DHS issues – particularly with respect to procurement, personnel and management. I wish Elaine and her family all the best in her retirement, and I look forward to her remaining an active supporter of you, the men and women of DHS." Duke also served Presidents Obama and George W. Bush as DHS under secretary for Management.